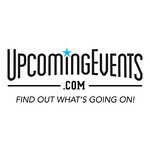 For 17 years, UpcomingEvents.com has been helping people like you find out about the most fun, popular, and talked about events around the tri-state area - and we say "Thank You" for attending! From Beer & Wine Fests to Charity Galas to Happy Hours & Networking Events, UpcomingEvents.com is where people to come to "Fina Out What's Going On"! UpcomingEvents.com is a local marketing & advertising, ticketing, and special event production company. We pride ourselves on our events & promotions! Have an event you want to feature or sell tickets to? Contact Us today! We will see you out and about soon.